Last night, I had the chance to hear a lecture by Dr. Paul Koudounaris, author of The Empire of Death: A Cultural History of Ossuaries and Charnel Houses, Heavenly Bodies: Cult Treasures and Spectacular Saints From The Catacombs, and his newest book, Memento Mori: The Dead Among Us, at Mac's Back Books In Cleveland. 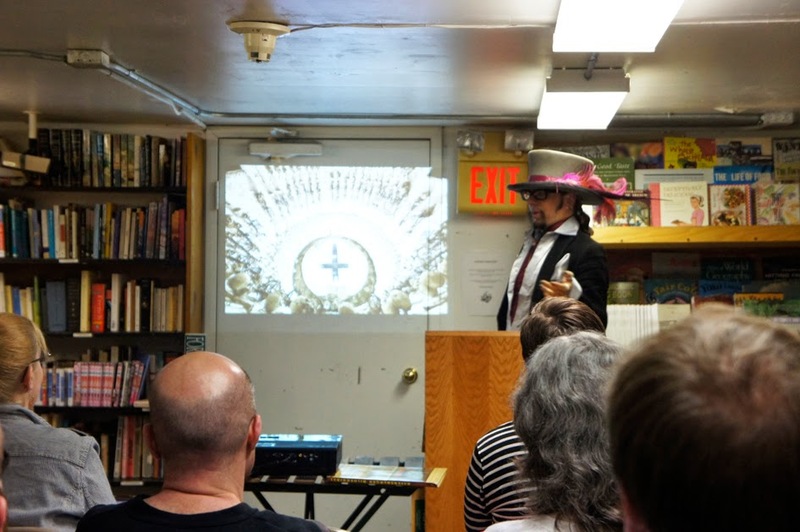 As someone who discovered Dr. Koudounaris' books by looking for photo references for Halloween prop display projects, I found the lecture remarkably fascinating. 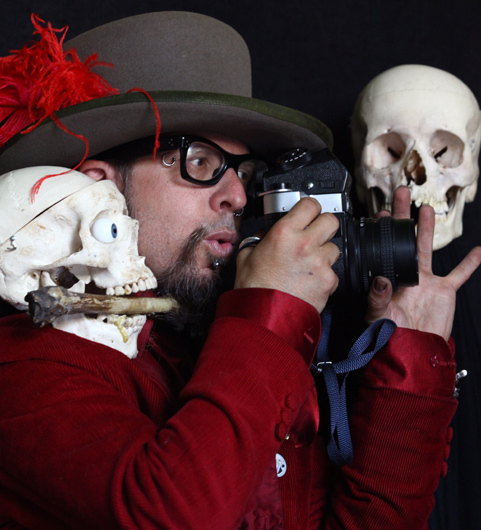 The historical and personal stories behind the photos gave substance to the art and gave me a deeper reference and connection to the Halloween projects themselves. And on a larger scale it gave me a new perspective, outside of our traditional Western custom, on death itself. 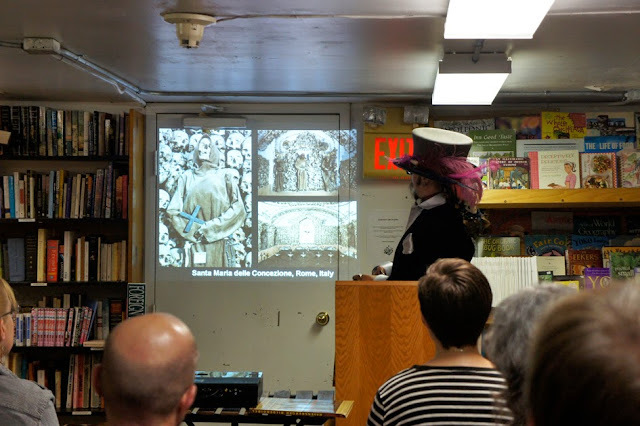 After the hour-long lecture, I was able to meet Dr. Koudounaris and discuss my pathway to discovering his work (his photos from the Santa Maria della Concezione in Rome, Italy were the inspiration for the talking skull cemetery greeter in my yard haunt). 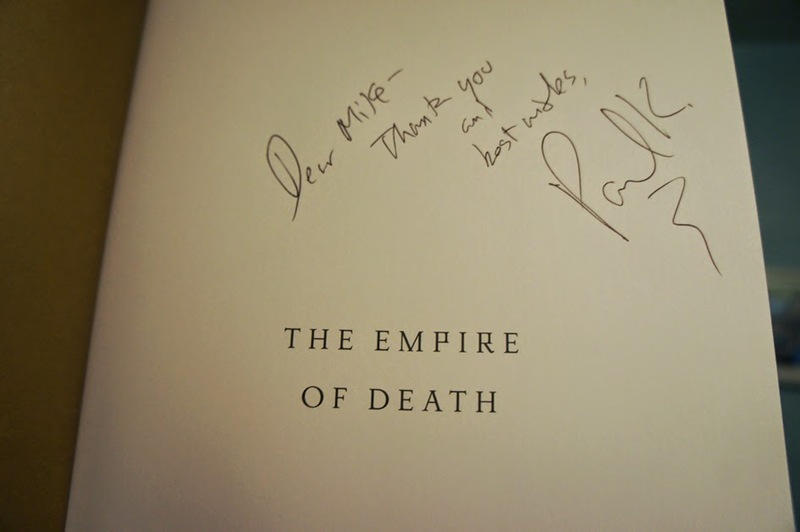 And after thanking him for the incredibly informative and interesting presentation, I geeked out a bit and had him sign my copy of The Empire of Death. From the perspective of a Halloween prop builder, I cannot recommend Dr. Koudounaris' books enough. Each is filled with beautiful photography that is sure to inspire your next haunt project. But to seek out the books for photo reference only would be a disservice, as the rich amount of information supporting the photos is equally if not more interesting and inspiring. Dr. Koudounaris' lecture tour continues and is highly recommended if it comes to your town. There are clips from his previous lectures on YouTube as well. I just saw him speak at Death Salon at The Getty Villa in LA about the bejeweled saints he photographed/researched for his book Heavenly Bodies.. He is absolutely fabulous! 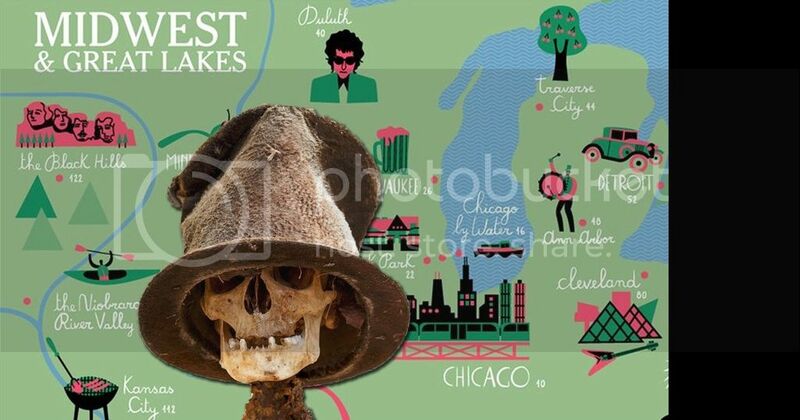 Been a fan of his photography and books for a while, and loooove his gorgeous new Memento Mori book. Absolutely fascinating stuff!